Timber slat screen fencing prices are shown for the three common slat sizes, and come in pre-primed treated pine or various hardwoods. The most common hardwoods used outdoors are Merbou and Western Red Cedar, with Western Red Cedar costing up to 30% more than Merbou. Slat screens and fences must be installed on steel posts at maximum 1 metre spacing. (800mm to 900mm is preferred). Steel posts not timber are used to maintain a visually straight screen. Timber slats are usually spaced at 15mm apart, but this can be varied to any spacing required. Slat screens and fences should be installed level, or in level panels. Sloping sites require the fence to be stepped so that the slats remain level. When calculating a sloping site, an allowance should be made for longer posts, and in extreme cases, light scaffolding may be required. To estimate the cost of your timber slat screen or fence, multiply the length of the fence required by the 'per metre' rate shown for the height, slat size and material required. The prices stated are calculated for level installations, sloping sites will cost more due to the extra length of the steel posts. Screen heights above 2.4m may require light scaffolding and will incur extra installation charges. 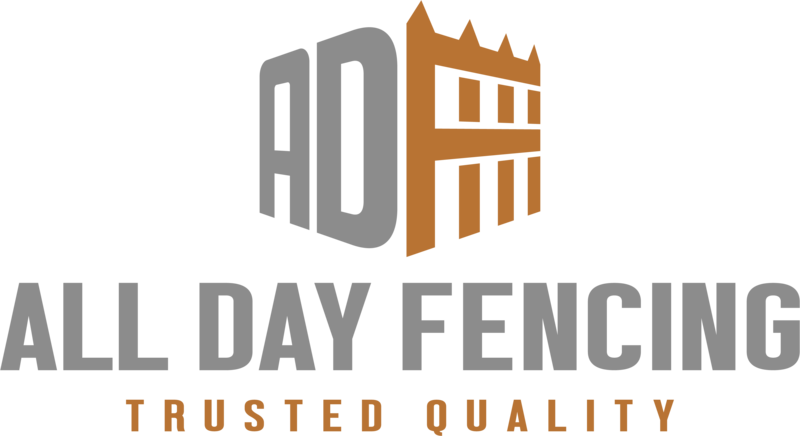 If you require a free onsite measure and quotation please call or email All Day Fencing on the details above.